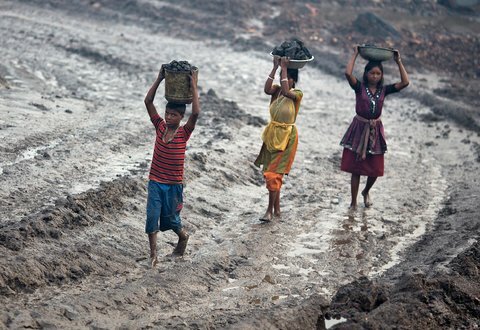 RANCHI, India — The eastern state of Jharkhand is a study in contrasts: On one hand, the state is immensely rich in natural resources and contains about 40 percent of India’s mines and mineral reserves, but on the other hand, the region struggles with endemic poverty and rampant unemployment. This disparity has given rise to a volatile struggle among residents for the state’s employment opportunities, one that boils down to a key question during this year’s national election season: Who should be considered a Jharkhandi? The issue, which predates the state’s formation in 2000, has once again come into the spotlight as the state goes to vote Thursday in its second phase of elections. This question is at the heart of a so-called domicile policy that would reserve lower-level government jobs and offer university admission preferences for Jharkhandis. All political parties in the state favor such a domicile policy, but there is no consensus on the criteria used to define Jharkhandis. Amit Prakash, chairman of the Center for the Study of Law and Governance at the Jawaharlal Nehru University in New Delhi, said the domicile policy was trotted out every election season to drum up votes not just from tribals, who make up 26.2 percent of the state’s population of 33 million, but also from the poor. The disagreement over who qualifies as Jharkhandi stems from the fractured creation of the state, which has numerous migrants from Bihar, Uttar Pradesh and West Bengal. Following a six-decade struggle for a separate state, Jharkhand, meaning “land of forests,” was carved out of the state of Bihar in November 2000 with an aim to preserve the tribal identity and bolster socioeconomic development in what was then one of the most underdeveloped parts of Bihar. “The Jharkhand domicile issue is tied to why Jharkhand was formed, and for whom it was formed,” said Salkhan Murmu, president of the Jharkhand Dishom Party, a regional political party. His party’s position is that Jharkhandis fall into two categories: those who use the language, culture and traditions of the state and those who are adivasi, or tribal people, or moolvasi, indigenous inhabitants. A state domicile policy was first proposed in 2002 by Babulal Marandi, the first chief minister of Jharkhand, who resurrected a 1982 notification of the Bihar government and widened its scope. Under the proposed policy, state residents whose names, or those of their forebears, were listed in the last survey of the land rights in 1932 would be deemed Jharkhandi. However, this would have left out those who were landless or whose land was held collectively, as was common with the tribal population of the state. The announcement triggered widespread turmoil in July 2002 as groups for and against the policy clashed on the streets. On July 24, 2002, at least five people were killed by the police during a rally in support of the government’s domicile policy. Eventually, the chief minister was forced to resign over the issue in 2003, and the state government withdrew the proposal. Since then, the debate over the domicile policy has followed a pattern: Each new state administration starts talking about forming a domicile policy, residents protest, and the government eventually abandons the idea. Most recently, the current chief minister, Hemant Soren of the Jharkhand Mukti Morcha, revived the issue in July when he took office, saying that he would follow the land record survey to set up a domicile policy. Statewide protests followed on Oct. 25 and Nov. 30. The chief minister in December announced the formation of a committee to examine the criteria for a domicile policy, but unsatisfied legislators protested in the Jharkhand assembly in February. The current state government is run by an alliance of the Jharkhand Mukti Morcha, the Indian National Congress and the Rashtriya Janata Dal. Congress and the Rashtriya Janata Dal say a committee should determine the definition of a Jharkhandi, but the Jharkhand Mukti Morcha contends that tribal people and the indigenous population should be considered Jharkhandi if they can prove their ties to the land in the last land rights survey. The Bharatiya Janata Party, which has no local partner, contends that anyone who has lived in the state since 2000 should be considered Jharkhandi and promises that it will install a domicile policy within three months if it comes to power in the state. 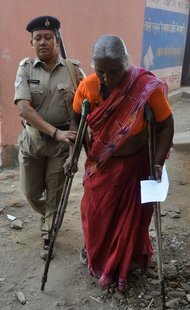 Meanwhile, recruiting for certain government jobs has been put on hold until the policy is decided, leaving open 200,000 positions in the police force, schools and government offices, said Stan Swamy, a social activist who argues that anyone who still has roots outside the state should not be considered a Jharkhandi. “It is a serious injustice that is being done to the educated young men and women of Jharkhand who cannot get the jobs they are entitled to,” he said. The Jharkhand Dishom Party has initiated a “domicile sena,” or domicile army, to emphasize the issue in rural areas. The domicile policy debate is so volatile that the state is not very far from erupting again if a consensus is not reached soon, Mr. Swamy said.